Gordon Lightfoot is a Canadian singer-songwriter. 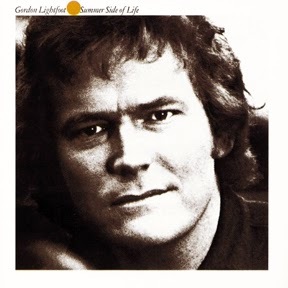 Summer Side Of Life was Gordon Lightfoot's follow-up to his breakthrough album Sit Down Young Stranger, which had given him international recognition in 1970 with the song "If You Could Read My Mind". The new album was very strong, following in the same stylistic vein as its predecessor, with a few more subtle country influences throughout (it was recorded in Nashville, and featured many of the city's top session musicians). It didn't include any big hits, though two songs (the title track and "Talking In Your Sleep") charted in his native Canada. Nevertheless it was a very good album, a worthy follow-up to establish his name as a singer-songwriter in the US, and it contained many of his best songs.